There s a buzzword that has quickly captured the imagination of product providers and investors alike: "hedge fund replication". In the broadest sense, replicating hedge fund strategies means replicating their return sources and corresponding risk exposures. However, there still lacks a coherent picture on what hedge fund replication means in practice, what its premises are, how to distinguish di erent approaches, and where this can lead us to. 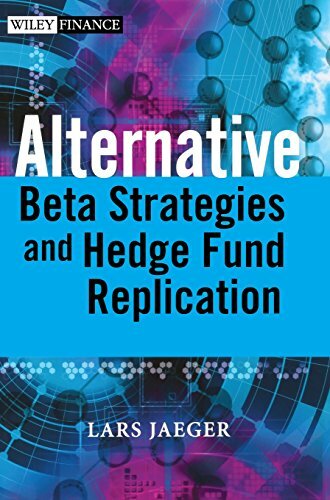 Serving as a handbook for replicating the returns of hedge funds at considerably lower cost, Alternative Beta Strategies and Hedge Fund Replication provides a unique focus on replication, explaining along the way the return sources of hedge funds, and their systematic risks, that make replication possible. It explains the background to the new discussion on hedge fund replication and how to derive the returns of many hedge fund strategies at much lower cost, it differentiates the various underlying approaches and explains how hedge fund replication can improve your own investment process into hedge funds. Written by the well known Hedge Fund expert and author Lars Jaeger, the book is divided into three sections: Hedge Fund Background, Return Sources, and Replication Techniques. Section one provides a short course in what hedge funds actually are and how they operate, arming the reader with the background knowledge required for the rest of the book. Section two illuminates the sources from which hedge funds derive their returns and shows that the majority of hedge fund returns derive from systematic risk exposure rather than manager "Alpha". Section three presents various approaches to replicating hedge fund returns by presenting the first and second generation of hedge fund replication products, points out the pitfalls and strengths of the various approaches and illustrates the mathematical concepts that underlie them. With hedge fund replication going mainstream, this book provides clear guidance on the topic to maximise returns. If you have any questions about this product by Lars Jaeger, contact us by completing and submitting the form below. If you are looking for a specif part number, please include it with your message.